Hurting You More Than Helping You? In this series, Risk vs Benefit: Is Your Training Program Hurting You More Than Helping You?, I will be addressing jump training technique. When performed correctly, not only will you see your jumping improve, you will also prevent injury and ineffective training. In an era of year-round basketball, the body has little to no time for recovery. This lends itself to injury and overtraining, reducing playing time and performance. Scheduling sufficient recovery time between workouts and actual playing time is imperative to remain injury-free and to see improvement in your jumping ability. 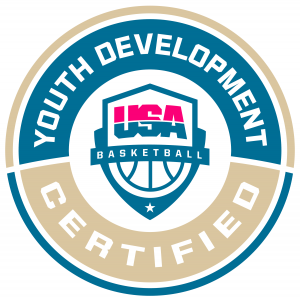 There is no question that skill-set, fundamentals, athleticism, basketball IQ, and coachability go a long way in determining your level of basketball success. One aspect of athleticism, jumping ability, along with speed, quickness, and strength can all be enhanced by using safe and effective training programs. This includes training the appropriate energy system and musculature necessary to jump higher. Lower body power as it relates to the vertical jump is a function of sport specificity. Simply put, a golfer isn’t going to get better at golf by playing football, he needs to fine tune his golf skills by playing golf. Likewise, if you want to jump higher, then the use of jumping and weight training exercises will help you reach your goals to jump higher. Jumping is a compound and dynamic movement that involves the entire body to some degree or another. Every body part works synergistically to propel your body to the greatest height possible. Your jump height will suffer if any one of these parts are not performing at its maximum. Primary Muscles Exercised: Quadriceps (Vastus Lateralis, Vastus Medialis, Vastus Intermedius, Rectus Femoris), Hamstrings (Semimembranosus, Semitendinosus, Biceps Femoris), Buttocks (Gluteus, Maximus, Gluteus Medius, Gluteus Minimus), Calves (Gastrocnemius, Soleus). Secondary Muscles (Stabilizers) Used: Abdominals (Rectus Abdominis, Transverse Abdominis, Internal Oblique, External Oblique), Lower, Middle, and Upper Back (Erector Spinae, Latissimus Dorsi, Rhomboids, Trapezius), Shoulders (Anterior and Medial Deltoids). The following exercises are part of a well-balanced workout program. Supplement each of your weight training workouts with 2-3 of these exercises. Rotate the exercises so that you will perform each one of them over the next 3-5 workouts. A half-hearted approach to any of these exercises will only lead to less than optimal results and possible injury. Each repetition should be performed correctly and at maximal effort. A 48-hour recovery period from each workout will allow an adequate amount of time to adapt to the training stimulus and recover from the micro-trauma caused by the training. Jump Rope – Stand with your feet close together but not touching. Keeping both ankles together jump off the ground, don’t skip. This will activate the muscles used in jumping and will serve as an adequate warmup to your weight training workout as well. Start with 5 minutes with each workout and increase to 20 minutes as you become more efficient. IMG_0779.MOV (https://vimeo NULL.com/214528003) from austinyouthbasketball (https://vimeo NULL.com/user65825859) on Vimeo (https://vimeo NULL.com). Lunge Jumps – Place one foot in front of the other so that when you bend both your knees to a 90-degree angle, your front foot is flat on the floor and your back foot has only its toes on the floor. Your front leg knee should not extend beyond your toes of that leg. From this position, jump as high as you can, switching leg positions in midair. Perform one set of 20 repetitions (reps), 10 on each leg. Increase to 2 sets the second week and then 3 sets the third week. IMG_0782 (https://vimeo NULL.com/214527794) from austinyouthbasketball (https://vimeo NULL.com/user65825859) on Vimeo (https://vimeo NULL.com). Frog Jumps – Stand with your feet slightly wider than shoulder width apart, your feet slightly angled outward (everted), and your arms to your side. Squat down so that your thighs are parallel to the floor and your fingers are touching the floor. Your head and shoulders should be up and back with your hips down. Once you touch the floor with your fingers, immediately jump as high and as far as you can, thrusting your arms overhead to help propel yourself as high as you can. Perform one set of 10 reps. Increase to 2 sets of 12 reps the second week and then 3 sets of 15 reps the third week. IMG_0783 (https://vimeo NULL.com/215517067) from austinyouthbasketball (https://vimeo NULL.com/user65825859) on Vimeo (https://vimeo NULL.com). Depth Jumps – Stand on a 12-inch bench or plyo-box. Step off the bench / box. Once both of your feet hit the floor, explode up onto or over a second bench. Land safely in an athletic position. Turn and repeat the process facing the opposite direction. Start with a 12-inch high bench, then progress to an 18-inch high bench. Perform one set of 15 reps. Increase to 2 sets the second week and then 3 sets the third week. IMG_0788 (https://vimeo NULL.com/214531301) from austinyouthbasketball (https://vimeo NULL.com/user65825859) on Vimeo (https://vimeo NULL.com). Knee Tucks – Stand with your feet slightly less than shoulder width apart, your feet slightly angled outward (everted), and your arms to your side. Lower your body to a quarter squat position and then explosively jump as high as you can, bringing your knees as close to your chest as possible. Land safely in an athletic position. Perform one set of 20 reps. Increase to 2 sets the second week and then 3 sets the third week. The use of a short pause (1-2 seconds) between each jump will enable you to regain your balance and set your position allowing you to jump higher with each rep. Eliminating this pause will train a quicker jump. Training both ways will improve your jumping on the court. IMG_0791.MOV (https://vimeo NULL.com/214529477) from austinyouthbasketball (https://vimeo NULL.com/user65825859) on Vimeo (https://vimeo NULL.com). Broad Jumps – Stand with your feet slightly less than shoulder width apart. As you descend into a quarter squat position allow your arms to swing backwards, then drive your hips forward as you jump as high and far as possible. Your arms will naturally swing forward during this process. Land safely in an athletic position. Your hip power will determine the height and distance of your jump. Perform 8 jumps one direction, turn and perform 8 more jumps ending at your original starting point (1 set). Increase to 2 sets the second week and then 3 sets the third week. The use of a short pause (1-2 seconds) between each jump will enable you to regain your balance and set your position allowing you to jump farther with each rep. Eliminating this pause will train a quicker jump. Training both ways will improve your jumping on the court. IMG_0792.MOV (https://vimeo NULL.com/214530280) from austinyouthbasketball (https://vimeo NULL.com/user65825859) on Vimeo (https://vimeo NULL.com). Squat Jumps – Stand with your feet shoulder width apart with your feet slightly everted. As you descend into a squat position, allow your arms to swing backwards. With an explosive effort, jump as high as you can, thrusting your arms forward and overhead for a momentum boost. Land safely in an athletic position. Perform one set of 20 reps. Increase to 2 sets the second week and then 3 sets the third week. The use of a short pause (1-2 seconds) between each jump will enable you to regain your balance and set your position allowing you to jump higher with each rep. Eliminating this pause will train a quicker jump. Training both ways will improve your jumping on the court. Squat Jumps (https://vimeo NULL.com/214530198) from austinyouthbasketball (https://vimeo NULL.com/user65825859) on Vimeo (https://vimeo NULL.com). IMG_0793.MOV (https://vimeo NULL.com/214531734) from austinyouthbasketball (https://vimeo NULL.com/user65825859) on Vimeo (https://vimeo NULL.com). Uneven Foot Squat Jumps – Follow the same instructions as the Squat Jumps, but stagger your foot position. Make sure to keep your feet at shoulder width. Between each jump, place your feet at various positions simulating various dynamic situations found during basketball play. It is important to land safely in an athletic position before moving your feet to an uneven position for the next jump. Perform one set of 20 reps. Increase to 2 sets the second week and then 3 sets the third week. IMG_0795 (https://vimeo NULL.com/214530457) from austinyouthbasketball (https://vimeo NULL.com/user65825859) on Vimeo (https://vimeo NULL.com). One Leg Box Jumps – This exercise should not be performed until a sound weight training program has been followed consistently for several months. A substantial increase in leg strength from leg presses, squats, and deadlifts must be demonstrated before engaging in this exercise. Stand in front of an 8-12-inch-high plyo-box. Jump onto the box and quickly jump back off onto the floor. Once you have completed the prescribed number of reps with the first leg, begin with the other leg. Do not pause between reps. Perform 2 sets of 10 reps on each leg the first week, 3 sets of 8-10 reps the second week, and 4 sets of 8-10 reps the third week. IMG_0797.MOV (https://vimeo NULL.com/214533348) from austinyouthbasketball (https://vimeo NULL.com/user65825859) on Vimeo (https://vimeo NULL.com). Straight Leg Calf Jumps – Stand with your feet close together but not touching. Keep your knees straight throughout the set. Raise your heels off the floor so that they do not touch at any time. Begin jumping as high as you can which will only be a couple of inches off the floor. Do not pause between jumps. Perform one set of 100 reps. Increase to 125 reps in week 2 and then to 150 reps in week 3. IMG_0800 (https://vimeo NULL.com/215517372) from austinyouthbasketball (https://vimeo NULL.com/user65825859) on Vimeo (https://vimeo NULL.com). Incorrect Technique and Training Commonly Performed: 1) poor technique due to a lack of training information and / or fatigue; and 2) overtraining with less than sufficient recovery time leading to overuse injuries. Tip: Perform every repetition with maximum intensity. Abide by adequate recovery times between workouts to take full advantage of your training and prevent injury. Why This is Important for Basketball: If you are asking this question, then basketball is not your game. Bottom line … having a high vertical jump greatly enhances your game by allowing you to elevate over others for rebounds, loose balls and to shoot over defenders. An inability to jump restricts your ability to do those things and therefore, your effectiveness as a player.